Kevin M. Kennedy, known primarily as FBK has been producing and DJing since 1994. First receiving notoriety as The Sleep Engineer with his release on Xplor, featured on compilations such as The Acid Junkies‘ the Acid Life as Powerhouse, and releasing ‚Knobs and Switches‘ as FBK Kevin has constantly honed and refined and re-defined his style over the last 20 years. Born and raised in Columbus, Ohio, Kevin was already an avid dance music fan-listening to mixtapes from WBMX in Chicago, hearing Cybotron’s ‚Clear‘ and dancing to the sounds of early industrial and EBM in the 80s and early 90s. By 1991, he formed a partnership with fellow local artists TiTonTon Duvante and Todd Sines, and became part of a promotions group/collective known as ele mental, who brought many of the well-known DJs and producers from the Midwest to the city. 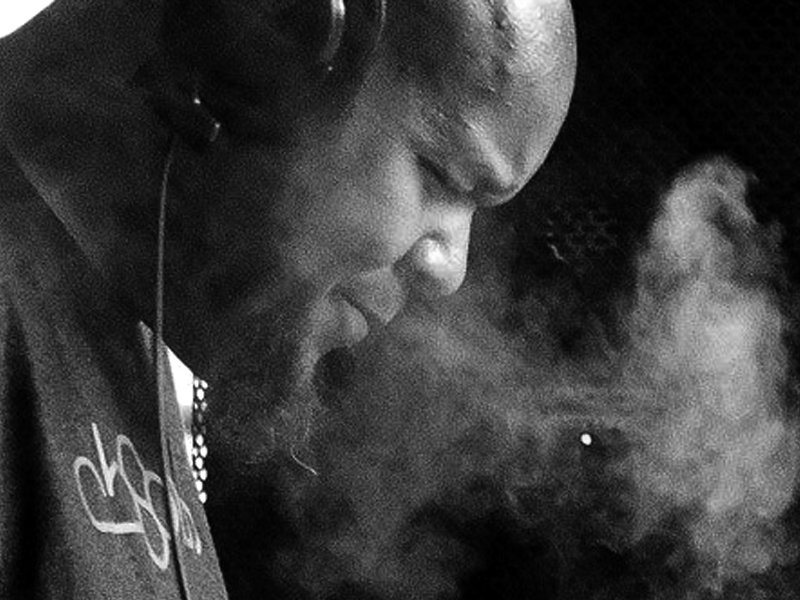 His connections to Detroit’s elite are many-Anthony ‚Shake‘ Shakir, Daniel Bell, Claude Young, Jay Denham, Keith Tucker of Aux 88, Sherard Ingram (DJ Stingray) and many others consider him a contemporary, and FBK has had the great fortune to learn and perform alongside of them. As a live performer, FBK’s sound is hypnotic, funky and focused. As a DJ, he is genre-bending, skillful and fun, playing primarily his own productions, blending them with music that he absolutely loves. FBK re-emerged in 2003 when he was asked to do a release for Paul Mac’s Sula Muse imprint, and since then he’s not looked back. Ever pushing forward, FBK has made several releases on his own label, Absoloop, finding new and under-appreciated artists to bring out his mantra ‚music without excuses.‘ His two releases on Arne Weinberg’s Diametric imprint both sold out within a week of release, and are well sought-after, with support by Marcel Dettman playing ’nanomal,‘ (featuring it on his mix „Conducted“ on Music Man). Upon meeting and sharing his prolific works with Mr. Dettman, FBK’s tune „it’s not the point“ was also featured on the Fabric 77 mix compilation. FBK contributed soundtrack work for Alan Oldham’s „Johnny Gambit: Music Inspired by the Graphic Novel“ in 2009, and has continued to stretch his sound with releases on UKR (extremely banging techno), to tunes like „she brought me there“ on Mowar, which is much more relaxed and house/funk inspired. FBK also works on a live performance project with James Johnson (Plural), who is a Metroplex artist. Their largely-improvised shows are not to miss, and take a crowd on a journey through the minds of two warrior spirits working in concert with each other. As the years continue, FBK keeps going, hiding in plain sight, quietly making music that is heard and loved around the world.